Passive house plus ( a really excellent magazine) recently published some images of a passive house by OA studios in Portmarnock. The Architectural Technologist and designer Des Crabbe explains the design and construction of the house in the lastest edition of Passive house Plus (issue 23). The images turned out well showing panoramic views of Lambay island and the sea. The house is constructed of clay blocks. The contractors were Pannocelt ltd. For information of green technology , passive house and good coverage of construction and the environment Passive house Plus is highly recommended. 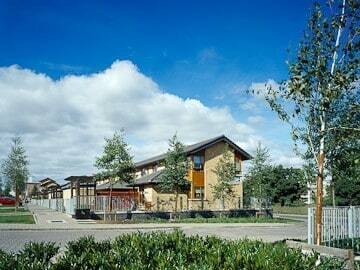 Peter Oakes Architects highlight the qualities of great architecture and great architects. This project in a seaside village outside Dublin. It adapts an Edwardian house to the needs of its owners. The house was converted to meet universal design standards. The design is so skilful that is not apparent that the house is design for universal access. The project was an inspiring to see. The choice of colours in the interiors and on the external steelwork brings life to the building. Why is this great architecture? To me the mark of great architecture is its ability to contribute to enjoyment of life and living. This building, such a simple renovation, greatly contributes to the lives of the owners. The mastery of the building is that the design is unpretentious and inspiring at the same time. Hussey Architects HSE architectural photography . The HSE primary care centre on the navan road was completed recently and require Architectural Photography to show the extend of the design and the quality of materials and urban layout. Architectural photography for Visit Dublin on Suffolk street. Visit Dublin on suffolk street is a visitor centre for tourists. The centre provides information for all those interested in finding out about Dublin. It also offer some information of tours outside of Dublin and in the rest of Ireland. Its primary focus is on Dublin City and the greater Dublin Area. The photography shows of the space completed recently as part of a commercial fit-out contract. The design is clean and spacious with the multiple display screens used to create a bright and vibrant environment. Architectural and Interior photography for the Marker Hotel Dublin. This how the Marker Hotel describes itself. This project was completed for the Architects and designers. The original Carrolls factory built between 1968 -1970 is on of the finest example of Miesian modernism producing in the state. In 2002, the building was acquired by Dundalk Institute of Technology (DkIT), to accomodate teaching and administrative facilities for the departments of Informatics and Creative Arts. STW architects refurbished the factory to meet new stringent environmental requirements whilst retaining the essence of the the original factory layout. 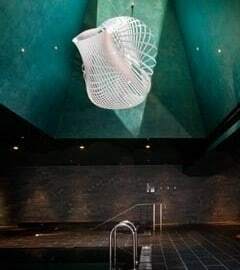 The original design received the Royal Institute of the Architects of Ireland / Gold Medal – Highly Commended. The refurbishment received an RIBA Award in 2012. 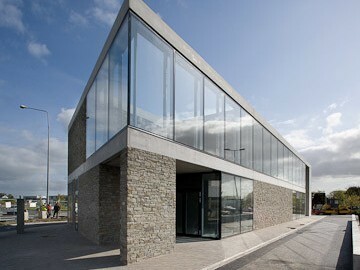 Located at the Briarhill roundabout junction the KFC building presents the best is Irish Architectural design. The builing is for a commercial use, however it is design as a contemporary reflection on vernacular architecture. It building is constructed of stone and pre-cast and in-situ concrete. Flush glazing is used for all external elevations. The detailing is very measured with all details contributing to the refined appearance of the unit. Conservation architectural photography Rubrics Trinity College Dublin for John O’Connell Architects. 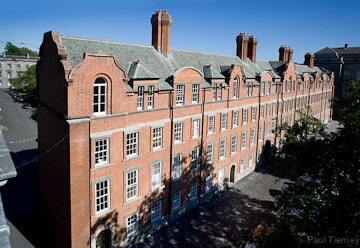 This project involved photographing the conservation and restoration of the Rubrics Building Trinity College Dublin. The project was completed by Conservation Architects John O’Connell Architects. Residential and Architectural Photography for Gilroy McMahon Architects. 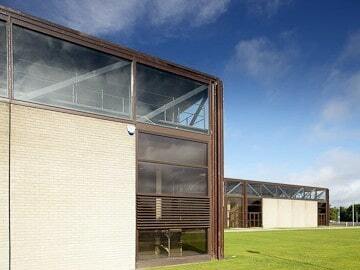 Located in the the Santry / Ballymun area of Dublin city , thi is a nice design scheme. It was photographed 2005 . It was shot on large format film. It was one of the last projects photographed on large formate film. The project has matured very well . The robust detailing , simple colours and considered layout have lasted well in a tough environment.